Cargotec has won the Best Supplier award 2010 from Mitsubishi Heavy Industries Shimonoseki shipyard in Japan. 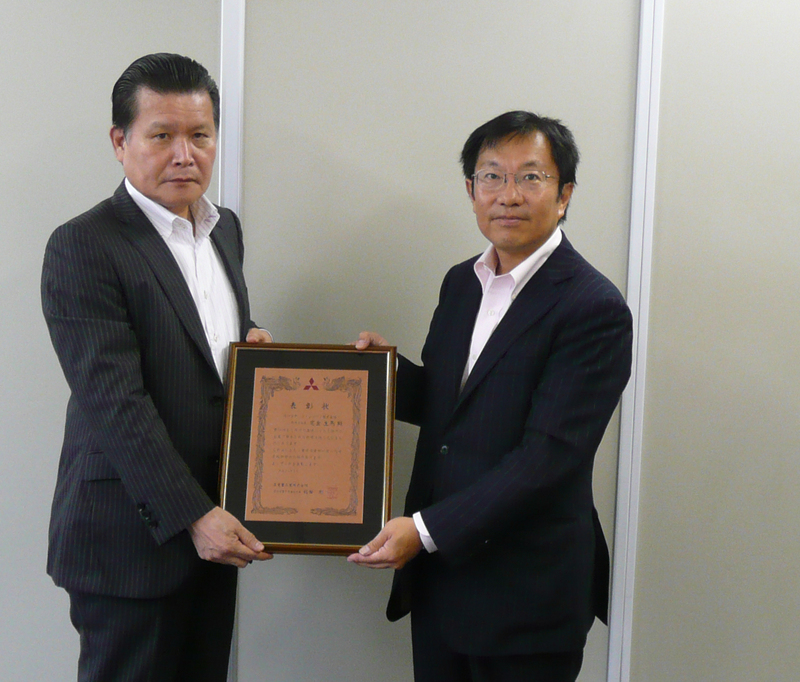 It was given to Cargotec's Offshore business and local Japanese team and, in part, is recognition of the company's drive to understand future customer needs through the provision of an extensive geographic presence and strong collaboration with customers. "This award is a great acknowledgement from an important customer in the Asian market," says Edvin TunheimTønnessen, Cargotec contract manager, Advanced Load Handling. "We were granted this award for delivery of a number of offshore load handling systems to the new marine resource research vessel (N1155); Hakurei. We have the capability to deliver integrated solutions that met specific operational requirements of our customer. Being recognized as the "best supplier" affirms solid reputation of MacGregor brand within the offshore industry. Hakurei is scheduled for delivery to the Japan Oil, Gas and Metals National Corporation (JOGMEC) at the end of January 2012. It replaces a deepsea exploration vessel Hakurei-maru No.2 and will be the first research ship in Japan equipped with two types of large-scale drilling system. In addition to seafloor mineral surveys, the owners hope that it will also survey for other energy resources, such as methane hydrate. "Our contract with the owner called for an extensive engineering package and customised solutions for special operations," explains Mr Tønnessen. "These included some of the major MacGregor products for ultra deepwater operations and deck handling machinery." Most notably, deliveries to the new 118m vessel include: a 20-tonne knuckle-jib crane; an advanced moonpool-based module handling system, deck-skid system; a personnel lift; and several deepsea AHC winches with a capacity down to 10,000m. All winches in this series are fitted with a proven MacGregor electric drive system introduced four years ago. All the equipment is currently being tested onboard the vessel by Cargotec engineers.